As our temperatures change drastically in North Carolina, we find ourselves switching our air conditioning units and heating units more often. We certainly need to keep a jacket handy and a pair of shorts tucked in our closets. It's no wonder we get more calls for HVAC system repairs. The most common issues for air conditioning and heating unit issues is typically from the lack of maintenance. 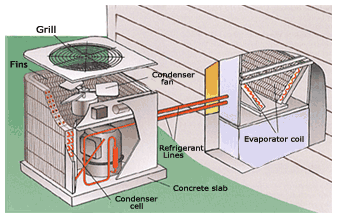 There are several things a homeowner can perform to prevent cooling and heating unit issues. As we work on the jobs, we get tons of questions from our clients. We want to answer as many questions as we can and as detailed as we can to ensure our customers get a well-informed answer. We would like to hear from you, so shoot us an email as well, should you need more information about our services give us a call 252-413-9992. Why Does My A/C Freeze Up?